That's a Gr8 photo,... where was it taken? I just can't make out where it is. Wow,... I've been living in Cape Town for the past 24 years,... & never known there was such a really Cool Rock formation above Betty's Bay/Kleinmond area. Will most definatley make an effort to look out for it. Thanks bor sharing that info. 2. Honda CX500 to resotre. Thank you. at least some one appreciated that chirp. 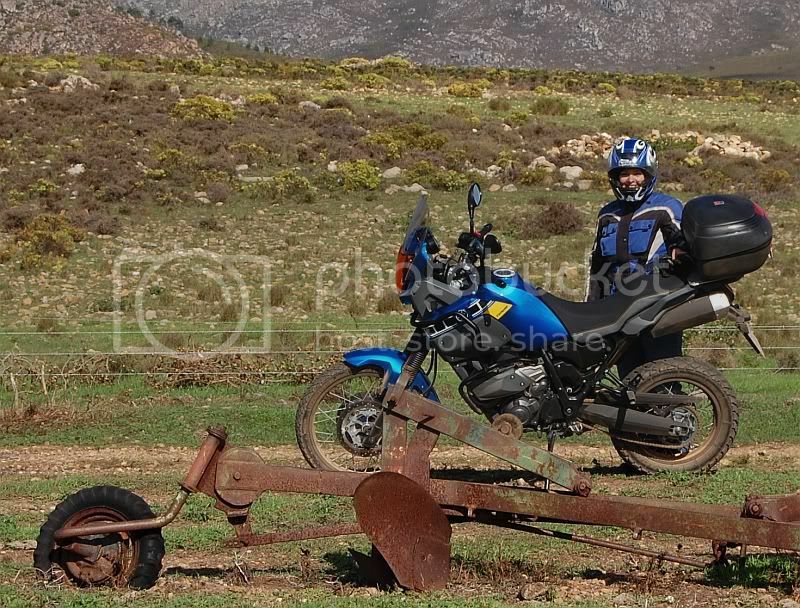 My Pillion in the distance, there was a bit of a sandy patch and with those tires I had to ask her to please get off!!! 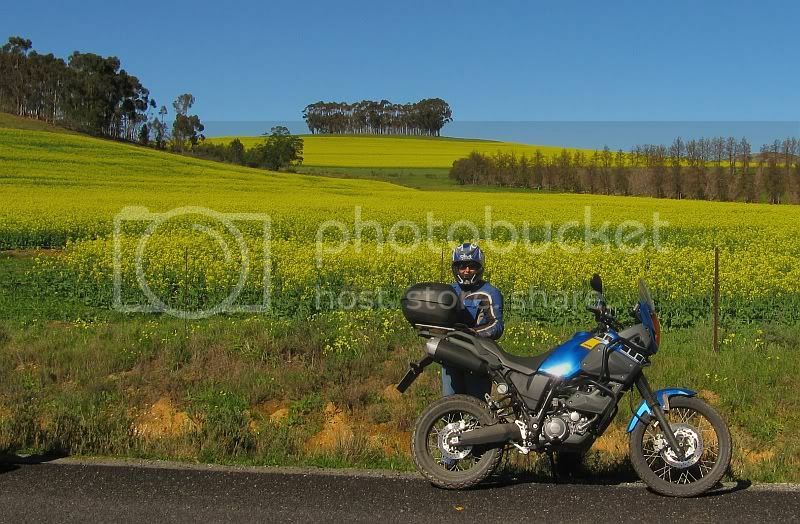 R1200GS Adv LC - "Imvubu"
Hier's my vroulief. Het darm al 1 keer na ons blanketrun, saam met my gery. She actually asked to get off, the sand wasn't that bad at all but just enough to grab at the front wheel a bit and she didn't trust that too much, knowing that there are road tyres on the bike. Me and my wife, best friend , partner etc. "Every day above ground is a good day!!!! Julle ouens is lucky. Ek't ok n vrou, maar nie n pillion nie. Sy weier om op 'n fiets te klim. Dalk moet ek 'n freelance pillion soek. Jy moet sê as jy 'n ekstra een raakloop Hando. Kom ons maak 'n stoffie. Hiers my pillion. Maar sy verkies eintlik om self te ry!! !